A Chinese-Australian scientist from Edith Cowan University (ECU) in Western Australia has discovered a fast and cost-saving way to purify wastewater, according to a post on the university's website on Wednesday. Laichang Zhang, associate professor from the School of Engineering, has developed a way to change the atomic structure of iron and form "metallic glass", the atomic structure of which is similar to actual glass. In contrast to the ordered atomic structure of traditional metals, the disordered, grid-like atomic structure gives metallic glass "very interesting and useful characteristics," Zhang said. 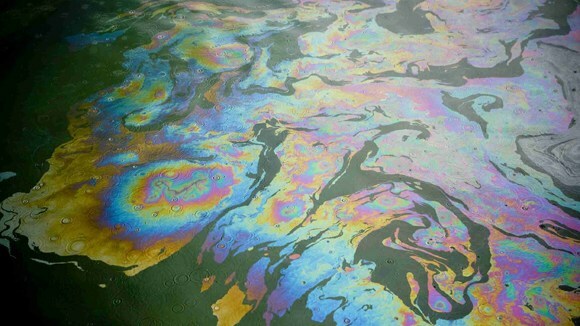 A thin ribbon of metallic glass is able to clean impurities in wastewater in minutes. Screenshot of ECU's video shows the metallic glass that can clean impurities in wastewater in minutes. "It works by binding the atoms of the dye or heavy metals to the ribbon, leaving behind usable water," Zhang said. The iron powder, which people currently use to purify water, is costly and one-off. It will also leave behind a lot of iron sludge to be stored. Metallic glass on the other hand is cheap, environmental-friendly and reusable. "The iron-based metallic glass we have developed can be reused up to 20 times, produces no waste iron sludge and can be produced as cheaply a few dollars per kilogram," Zhang said. The technology has great significance for textile and mining industries which produce polluted water containing heavy metals and dyes. 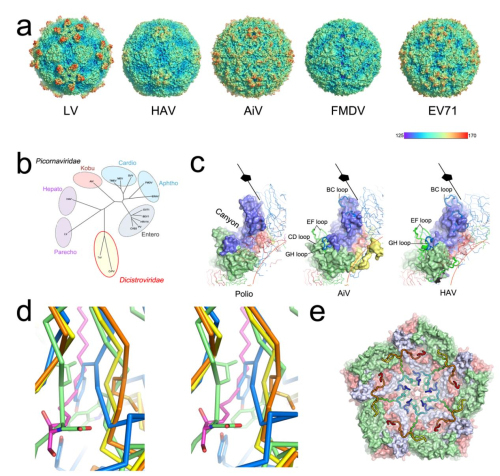 Using cryo-electron microscopy, an international group of scientists have solved the atomic structure of the human aichi virus (AiV), a rather unusual but poorly characterized picornavirus, that is very common and can cause severe gastroenteritis in children.